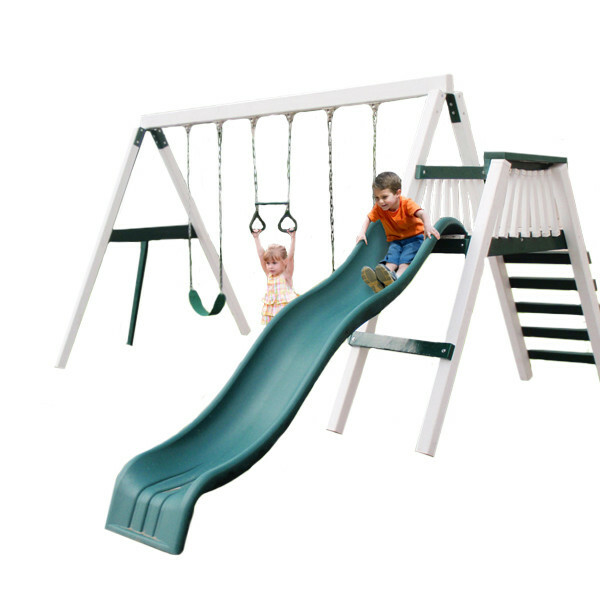 A basic swing set for basic backyard fun, the Congo Swing'N Monkey 3 Position Play Set comes with three of Congo's most popular accessories including 2 swing belts, a trapeze bar with rings, and a nine foot wonder wave slide. It all comes in an attractive white and green color that will look great in any sized backyard while providing hours of safe fun. The slide attaches to a 54" tall deck with a ladder and side rails. The 3 Position Play Set comes delivered to your door with all of the lumber and hardware you need to be ready to assemble. A few tools may be needed but the swing bar, supporting beams, platform and ladder can be put together following the step by step instructions in a matter of hours. All of the lumber is pre-cut and pre-drilled. It is constructed of treated Woodguard lumber that features a recycled plastic polymer coating. 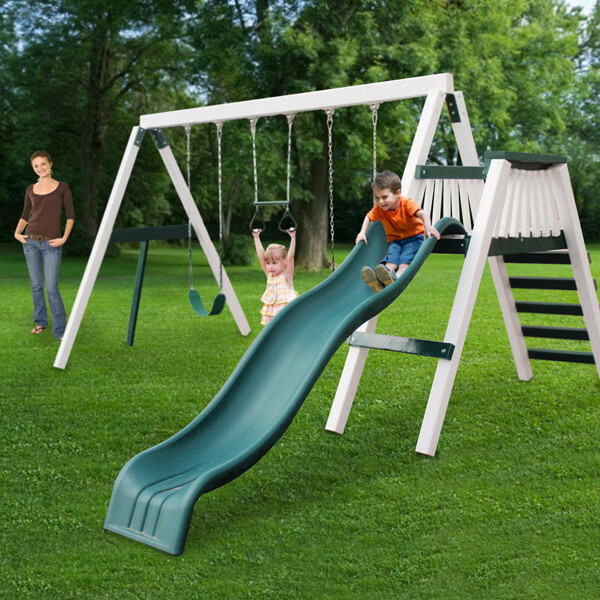 This makes it a low maintenance swing set that won't crack, peel, fade, warp, or require painting, sanding and refinishing.